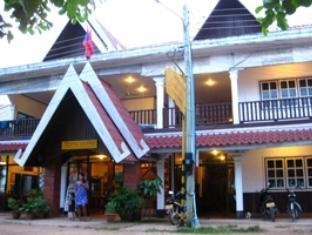 Set in a prime location of Muang Khong, Pon's River Guesthouse puts everything the city has to offer just outside your doorstep. The hotel has everything you need for a comfortable stay. 24-hour room service, car park, room service, airport transfer, restaurant are on the list of things guests can enjoy. Some of the well-appointed guestrooms feature non smoking rooms, air conditioning, desk, television, satellite/cable TV. The hotel offers various recreational opportunities. Pon's River Guesthouse is an excellent choice from which to explore Muang Khong or to simply relax and rejuvenate.